Includes housing benefits, benefits calculator and uploading proofs. 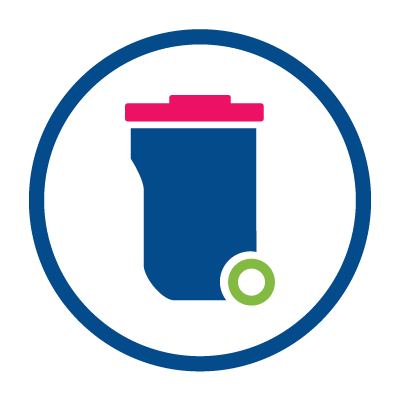 View your collection calendar, report a missed and order a new bin. Includes business rates, licensing, permits and tenders & contracts. Includes voting and election, Councillors and transparency. Includes paying your council tax bill, your banding, moving house. Includes the housing register, homelessness and advice. Includes the latest council jobs, benefits of working at the council and apprenticeships. Includes applying for a parking permit, pay a parking ticket and our car parks. Includes applying for planning permission, the local plan and building regulations. If you're submitting a new claim we'll need to see the original copy of your ID. This can be your driving licence, passport or birth certificate, which you can either send or bring to Maidstone Link. Other documents can be sent to us electronically using our online form. You'll also need your National Insurance number and your benefit reference number to complete the form. It's starts with a 5 can be found any benefits letter we've sent you. National Insurance numbers for you and your partner. Your partner needs to be someone you’re married to or living with as though you’re married. Identity for you and your partner. For example a passport or driving licence. Capital, savings and investments, including all bank and building society current and savings accounts. Earnings of everyone living with you, including your partner and anyone else over 18. Proof of rent liability (tenancy agreement). If you don’t get the evidence to us within a month we may not be able to pay you any benefit. Just tell us if you’re having problems getting your evidence together and we can help. Email benefits@maidstone.gov.uk or call 01622 602557. Please do not use this feedback to report an issue with the Council. You can use our contact us form to do this. If you cannot find what you are looking for in our search facility, you can use our A-Z index to find the service you require.